Some of the ITD's new cash is being spent on pavement preservation on I-15 in Eastern Idaho. The ITD has said it needs $262 million more a year to keep up with road and bridge repair. This year, the Idaho Legislature authorized raising part of that amount, $95 million, using a 7-cent gas tax and a hike in registration fees. As soon as lawmakers signed off on the money, ITD pushed 27 of the most needy projects to the front of the list. Two of those projects, one in north-central Idaho, and another in the south-central part of the state, were the first to be completed. ITD Director Brian Ness says that’s due in part to good planning. "ITD was ready to implement these new projects as soon as the money was available because our staff plans five years ahead,” Ness said in a press release. More than six other projects will be completed this year. The Department plans to spend about half of its new cash flow, $46.8 million, on the first 27 projects. The biggest chunk, $21 million, goes to pavement restoration. More than $16 million will be spent on bridges. 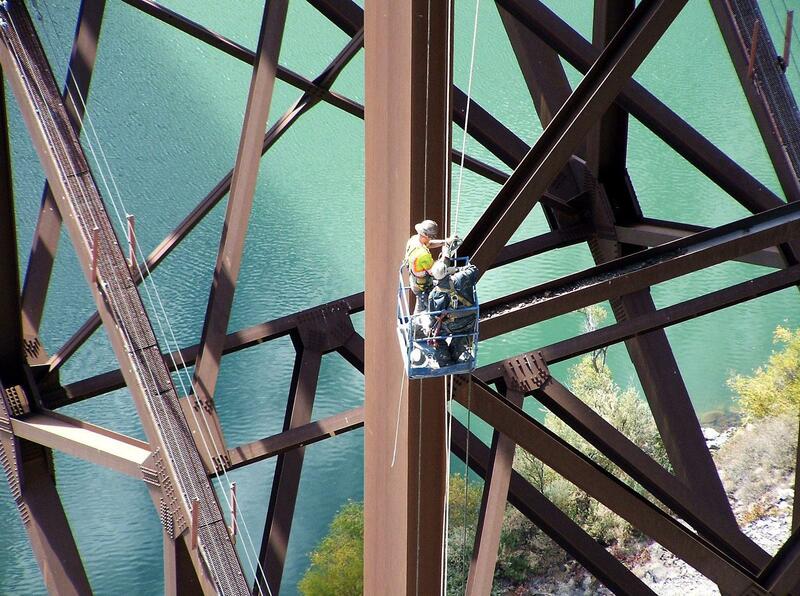 Some money is being used on the Perrine Bridge in South-central Idaho. Last week, the Idaho Transportation Department (ITD) pushed 27 road and bridge projects to the top of their “fix it” list. The projects, from Nampa to Pocatello, are just a fraction of the outstanding road issues facing the Department. ITD says the projects will cost $46.8 million.